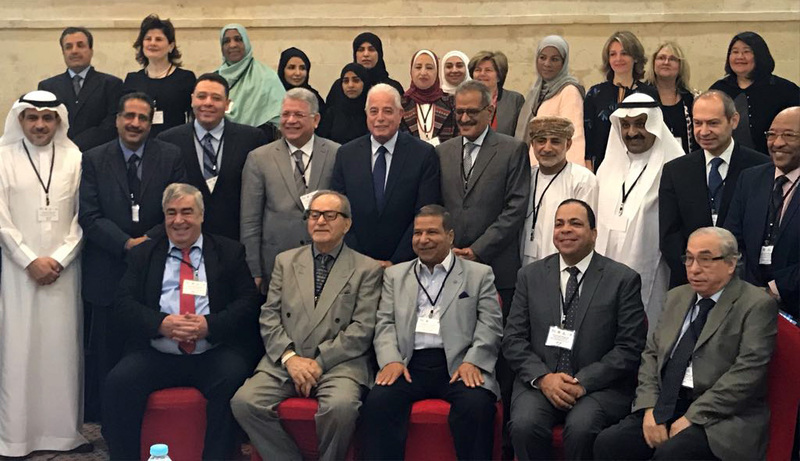 RCQE, UNESCO Beirut office and Islamic Development Bank organized the Regional Forum of Arab Thought on “Rethinking education: towards a common global good”, in Sharm El-Sheikh, from 5 to 6 December 2017. 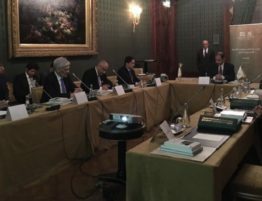 The Forum was attended by several existing and former Arab ministers of education, the elite of Arab education experts, and South Sinai Governor, General Khaled Fouda. 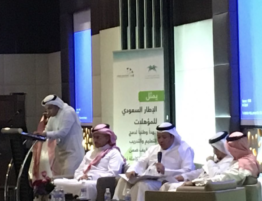 In the opening speech, General Fouda praised the Saudi role in the education field due to its significance for the Arab nations. He also expressed his gratitude for the Saudi efforts to develop Sinai including the establishment of King Salman University by a direct order from the Custodian of the Two Holy Mosques King Salman bin Abdulaziz. 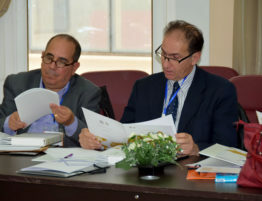 Dr Omar Jalloun, RCQE deputy director general, stated that quality education is a main factor of the sustainable development and enhances tolerance and coexisting concepts. He stressed that rethinking education requires restructuring education to become a collective work that includes everyone. “We should provide assistance to our societies in various fields to achieve the education goal towards developed societies moving rapidly forward to more advanced prospects” Dr. Jalloun added. “RCQE insists to fund this Forum due to our belief that nation prosperity can be achieved only by quality education”. 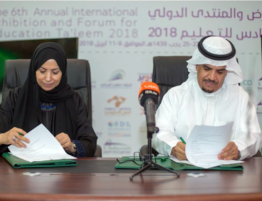 Dr. Hamad Al-Hmamai, the Director General of UNESCO office in the Arab countries, stated that the Forum aims at outlining a roadmap and a working paper to be used by the Arab ministries of education. He added that education is a societal responsibility, not the responsibility of a single ministry, and it should be transformed from a human right into a common global good to be considered by international and non-governmental organizations. On the other hand, the Head of the education committee of the Egyptian Parliament, Dr. Gamal Sheha, expressed his appreciation to the UNESCO and organizing partners. He also highlighted the significance of this forum in enhancing the ultimate goal of education, which is building human beings immunized against extreme and radical thoughts. It is worth mentioning that the Forum included several sessions on a group of education-related issues such as curricula, education in a rapidly changing world, teacher role in knowledge societies, rethinking the evaluation of educational outcomes, and lifelong learning. 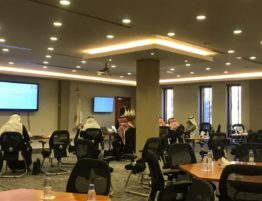 The Regional Center of Quality and Excellence in Education is a significant initiative in international development of education by the government of the Kingdom of Saudi Arabia. DQ , Amro Aldamari st.